Testimonials — South Fork Catering Co. I cannot say enough good things about South Fork. It was really important to us to have good food at our wedding. 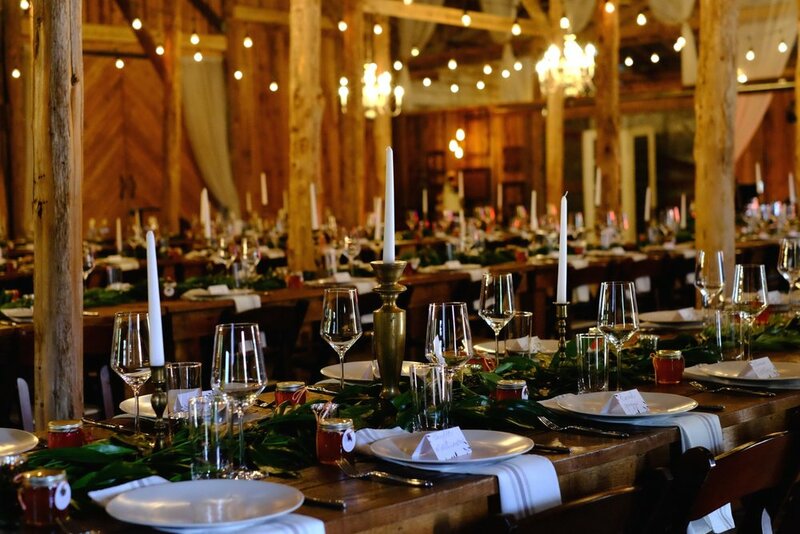 We wanted to find a farm to table caterer in support of local farms. Michael and Romana from South Fork were incredible. They worked with us for months to get our menu right and the food was wonderful! Our guests still rave about the short ribs. Hiring South Fork for our wedding was the best decision. I highly recommend them. If you appreciate wonderful, fresh food, they will certainly not disappoint. South Fork was FLAWLESS! Food is a HUGE part of what makes your special day memorable. My guests are still talking about the food and how amazing it was even a month later! The options were endless and South Fork was very easy to work with when combining a menu that all blends well together. My mom also has Celiac Disease and having 90% of the menu gluten free was a must. They kept everything with gluten separate and my mom was thrilled! My only regret is that I didn't admire their food displays enough! We had a fabulous experience having South Fork take care of all our wedding catering. We received so many compliments from guests on the food. I was super excited about our passed hors d'oeuvres, so I made sure to try them all, and every single one was excellent! I also had enough time to try most of what was served for the main course, and again everything was unbelievable. They also did a great job batching and serving our signature cocktail selections on short notice. All of their staff were professional and highly skilled, and we can't say enough about how great Michael and Romana are to work with. South Fork Catering was absolutely amazing. We were beyond thrilled with everything the about this company. The food was delicious and the people were fantastic. They catered our wedding in May and I would highly recommend them to everyone. We were very happy and our guests loved the food as well! I wish they had a restaurant because I would love to go!! Amazing! They are the best! The food was amazing! They are so pleasant yet so professional. It was everything our daughter wanted for her wedding. We have used them for several events and they will continue to be our go to! Working with Michael and Romana was an absolute joy from beginning to end. I was able to give them a design board that we had been using as inspiration for the event and they completely understood my vision. Not only did they create a menu that was completely custom and in line with the aesthetic of the day but they also created something that fit our budget. On the day of the event their staff was courteous, polite, well dressed and professional. They executed each course flawlessly, allowing me to focus on other pertinent logistics. Guests raved about how beautiful the presentation was and even more so about how everything tasted. I would absolutely recommend working with South Fork Catering Co. on your next event. I look forward to having them work with me time and time again. 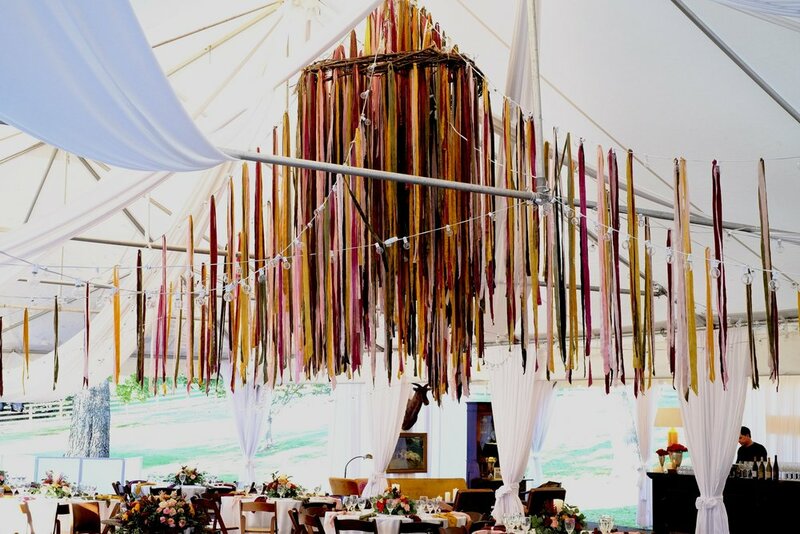 Michael and his team at South Fork not only provided superior ingredients but superior customer service at a wedding we worked together recently...we were thoroughly impressed with their execution from beginning to end. Can't wait to collaborate with them again! I love working with South Fork Catering. Michael and Romana bring so much knowledge about food and they really care about their clients. I feel like they put together menu's that are not your "typical" wedding food. Not only is their food amazing, but their service is top notch-and I know that I don't have to worry about anything. I love working with them, as they are truly artists and I love seeing that artistic twist on the food. Their aesthetic is on point. Thank you for finally putting out quality over quantity. Looking forward to working with you guys in the near future! As a planner, it's very important to have vendors you trust. Whenever South Fork Catering is hired for an event or wedding, I sigh a sigh of relief knowing that they will pay attention to detail the same way I would. Thankful to work with Romana, Michael and their team! If you would like to arrange an appointment to visit featured locations or discuss your upcoming event please fill out the form and send us a message, we'd love to hear form you!